Due to our recent move from the Deep South to New England, we’ve been forced to completely reorganize our health insurance coverage. We’ve actually done it using one of the strategies that I have outlined on this site in the past – a part-time job. And I am here to report – happily – that yes – part-time jobs with health insurance DO exist. Ever since writing that article a couple of years back, I’ve heard a steady stream of criticism of the idea. Mostly, it’s of the “Yeah, but…” variety, as one person after another tries to explain why that strategy can’t work, or is otherwise unsatisfactory. 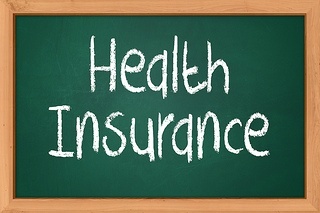 If you are looking for perfect health insurance coverage, then you are absolutely right – you may not be able to find part-time jobs with health insurance. But I would argue that there are no longer any perfect health insurance policies at all, and all any of us can do is work with what’s available. When we lived in Georgia, our whole family had health insurance coverage through my wife’s full-time job at a local bank. Unfortunately, it was about the only thing that she or any of the rest of us actually liked about that job. But she soldiered on with it for four years so that we would have coverage (a good example of what a woman will do for the good of her family). Last November, we went through with our decision to move to New Hampshire, which on the surface seemed like financial suicide. For a number of reasons, it actually turned out to be the exact opposite, though I’ll be the first to admit that such an outcome didn’t seem likely at the time we left. But my wife and I are believers, and we’ve come to understand and appreciate that God will provide for us where ever we go, and what ever we do (see Psalm 139:7-12). And so He did, as He has so many times in the past. As part of that move – and in recognition of the fact that my wife carried the health insurance load with that awful job in Georgia – my wife and I made the decision that she would fall back to part-time status when we moved to New England. This move wasn’t just about changing our location, but about changing as many things about our lives that we didn’t like as possible. She applied for jobs at several banks, some of which were offering full-time positions. But she accepted a position with a small local bank offering 20-25 hours per week. And they also offered health insurance! In the banking universe, that’s not unusual, although it may not necessarily be common. While she was negotiating with another company for a full-time position, we both came to the decision that she should accept the part-time position. It would provide a reduced paycheck, but would provide health insurance. But because it is only part-time, she would also have an opportunity to earn extra money from other sources that she actually liked. Here’s another “God moment“: the day after she got her job offer for the part-time job at the bank, she did an interview – and got hired – by JCPenney. She has worked for them in the past, and always wanted to go back. Now she has that opportunity to go back, even if only for 10 to 15 hours a week. Bonus: she loves both jobs – and we have health insurance. You have to love it when a plan comes together! I wrote 20 Part-time Jobs With Health Insurance (regularly updated) a couple of years ago, just before Obamacare rolled out. #11 was “Banks”. My wife has just proven the merit of that claim. But that’s not necessarily accidental. Part of the reason why I did that post was for personal research purposes. As a self-employed blogger, for whom health insurance is and always will be an issue, I actually wanted to research the possibilities of finding part-time jobs with health insurance. I was actually thinking that I might be the one taking the part-time job to get the insurance. Starbucks seemed like a likely destination, since I spend so much time there anyway. But the part about banks was very useful, given that that’s the industry that my wife works in. At the time that article was written, we had no immediate plans to transition over to a part-time job with health insurance. But it’s always good to have a backup plan, and in this case we ended up exercising that plan. What we didn’t anticipate – a hidden benefit actually – was the fact that my wife would actually prefer the part-time work style. Working full-time all those years was wearing her down, and it was time for a radical change in how she worked. She enjoys both jobs, and no longer feels trapped in a suffocating full-time job. Please understand that I am not implying in any way that this is a perfect solution, even for us. We have to make some compromises, but we totally expected as much. The health insurance situation in America is changing radically, and mostly for the worse. Mercadante’s (that’s me) Health Insurance Fundamental Truth #1 – there is no perfect health insurance plan out there any more! We both understood that, and decided to approach the situation with realistic expectations. The ultimate compromise was that we were unable to insure our entire family under the bank plan. To do so would’ve consumed the majority of my wife’s take-home pay from the job. We decided on a divide-and-conquer strategy. If we put just her and myself on the plan, it would cost about $570 per month. If we put just my wife and our two kids on the plan it would be about $600. Since my wife and I are both over 50, and more “medically vulnerable” than our young adult kids, we decided that the two of us would be on the plan. We decided to investigate the health insurance exchanges through healthcare.gov for coverage for our kids, ages 20 and 18. I made an application on healthcare.gov for our whole family, hoping that we would come up with something miraculously better than we ever imagined. No such luck. The application process is riddled with mysterious provisions, and we never were able to get a quote for the whole family. The best we ended up with was a policy for my wife and I, at $740 per month with a $6,000 deductible (the plan at the bank has a $2,000 deductible). Our kids however got referred to Medicaid. The curious thing about this is that as a family we were well above the income limit for Medicaid in New Hampshire. I made a call to the site to get clarification. I must say that everyone we spoke to healthcare.gov was extremely polite and helpful. However, the current arrangement for the exchange is so complex that it doesn’t appear that anyone fully understands it or how it works. The explanation that we got was that because our kids both file their own income taxes, they were considered to be separate households for health insurance purposes. And based on their incomes, they qualified for Medicaid. We quickly realized that a family plan was never going to work anyway, even if it was workable on the exchange. We decided then that me and my wife would be covered on her plan at the bank, and we would have our kids make direct application to Medicaid. But then something bizarre happened. When my kids applied individually, my son got accepted for Medicaid, but my daughter was rejected. It turns out that since my daughter is only 18, she is still considered a child under Medicaid. And with our family income, we couldn’t qualify. But my son, being over 19, could qualify for individual Medicaid coverage. If that isn’t bizarre, I don’t know what is. Our current situation is that my wife and I are covered under her plan at the bank, our son is covered through Medicaid, but our daughter has no coverage at all. She can however apply for Medicaid when she turns 19 – which fortunately is in just a few weeks. The Medicaid arrangement will only be temporary. As we move deeper into the year, and our kids see an increase in incomes, they will no longer qualify for the plan. Our hope is that there will be an inexpensive plan for them on the exchange at the end of the year when open enrollment begins again. There’s also the possibility that my wife could get bumped up to 30 hours per week at the bank, at which point the company subsidy toward the premium will increase, and we’ll be able to comfortably add the kids to her plan. And at that point, my wife might want to ditch her second part-time job. It’s a work-in-progress, but I think that’s the case with health insurance in general, at least for anyone who is too young to qualify for Medicare. That’s our situation. It’s not pretty, but it’s working out. And it’s proof that, yes – part-time jobs with health insurance DO exist. Armed with our real life experience in getting a part-time job with health insurance, I’m going to be updating the original post with Part-time Jobs With Health Insurance – 2015. I am convinced that this represents a health insurance solution for a lot of people out there who can’t afford health insurance coverage, but don’t qualify for Medicaid. It’s an excellent just-in-case option to have, and in the world that we live in now, we truly have to be ready for whatever may happen. Any other healthcare/health insurance topic as they develop. I’ve been pleasantly surprised to find out that many of the healthcare/health insurance theories that I have advanced in the past actually do work. Please come back and check out those posts, and be prepared to read them with an open mind. The increasingly limited choices that we have in this area demand nothing less. Your children qualify for Medicade due to ObamaCare, so your family did not really pass on ObamaCare. Hi Johnny – That’s technically true. But we did decide not to pursue the exchanges, and only accepted the Medicaid option because it was available. Had they been turned down for Medicaid, they would have gone uninsured. The coverage on the exchanges is both expensive and full of loopholes. That said, we’re not ruling it out in the future. My hope is that healthcare.gov will improve, and there will be more cost effective options going forward. Right now this thing is a mess! The tax credit subsidies are a time bomb waiting to go off.